“Anticipate the hill.” Coach Ashley Halsey was behind me in a group ride with the Annapolis Triathlon Club and even though the road was still flat he was reminding me and the other rides to anticipate the hill. And as we approached the incline I heard “Shift…shift…shift.” “Keep up your cadence!” I was pedaling for all my might to maintain a fast cadence up a steep incline and only after we were plateauing and starting to coast the downhill did I really start to understand the purpose of maintaining cadence. And it all starts with anticipating the hill. Hill training for cycling is surely just as important as hill training for running yet it is not something I’ve ever put a lot effort into. In any triathlon training plan there is typically a set of rides noted as ‘hills’ and my response to those days is to try and find a route with hills on it and ride them. I never really thought about how I rode them. On group rides it has been evident that something is lacking in my cycle training since I tend to be left in the dust once a hill ascent is under way. Let me digress for one moment with a comment on group riding–I happen to ride with some very cool people every now and then and am ever grateful that they stop and wait for myself or others in the group who aren’t of the same speed or skill set. I think it’s awesome. It’s not something I ask for and would not feel offended in any way if they continued on instead of waiting. But indeed they wait and they offer guidance, helpful tips and great entertainment. In fact, I have to credit my fellow ATC members for helping to make the light bulb go off with regard to hill riding and cadence. On a flat road, when my chain is in the middle of the back ring and on the biggest ring up front I seem to have the most powerful cadence. I consider myself still pretty new to cycling and triathlons and like any other sport riding has its own language, gear, best practices, form guidelines and a host of other things that can be practiced and tweaked for optimal performance. Cadence seems to be at the core of cycling and so I’m trying to understand it better. For a long time I thought that I needed to be pedaling fast the majority of the time. I also thought that I should be pedaling fast up hills. But as I am starting to learn more about cadence, I am gaining a new understanding for how to anticipate, and attack hills. Quite simply, cadence is how hard you press on the pedals multiplied by the number of times per minute you apply this force. 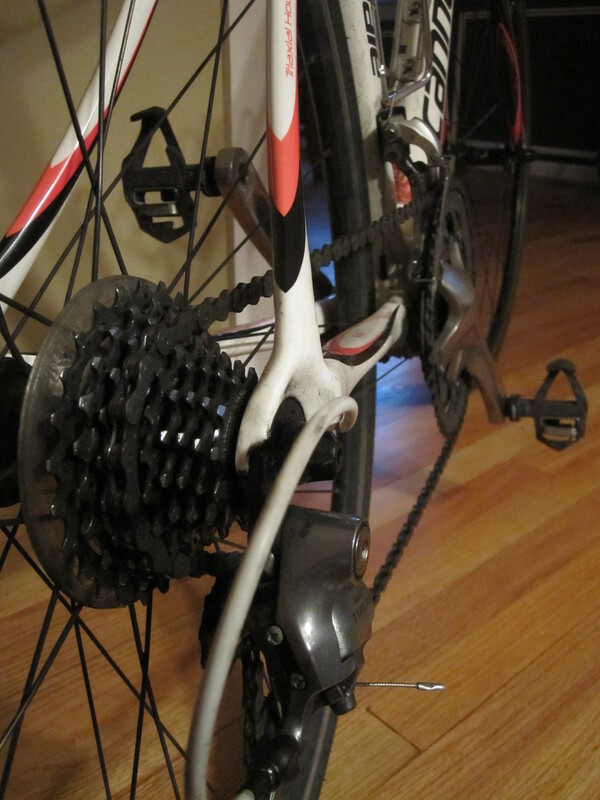 A low cadence requires more leg power and is typically achieved when riding in a high gear. I found that when I put my bike in a higher gear, giving me more resistance, and tried to push harder on the pedals, I did in fact go faster. In spite of the fact that a low cadence may seem slow it is the force with which the pedals are pushed that propels the bike forward faster. I have no personal science to prove this and I keep my Garmin set on mph rather than watts or rpm (not even sure it has those settings!) so I don’t have the data that matches articles I’ve read about how to begin to measure cadence. However, I have come to appreciate that I need to be better at maintaining a low, powerful cadence. 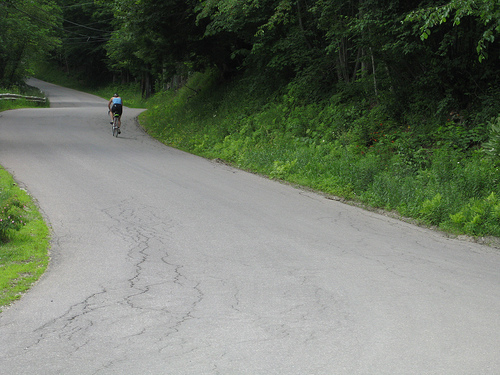 Maintaining cadence can be practiced on any ride, but to practice riding hills you have to first seek out the hills. I have a half dozen or so different routes to choose from that all have varying inclines but when it comes to practicing, and tracking improvement, I prefer to stick to the same route for several rides. Like in riding, having a chance to warm-up is incredibly important and I find it takes me anywhere from 5 to 10 miles to get into my groove on the bike. As I know a hill is coming up, the first step to anticipating the hill is to literally think about it. Visualize going up it. Think about maintaining power and staying strong on the climb. Thinking about these things typically translates into performance and the more power in the legs approaching the hill, the easier it is to get it up it. 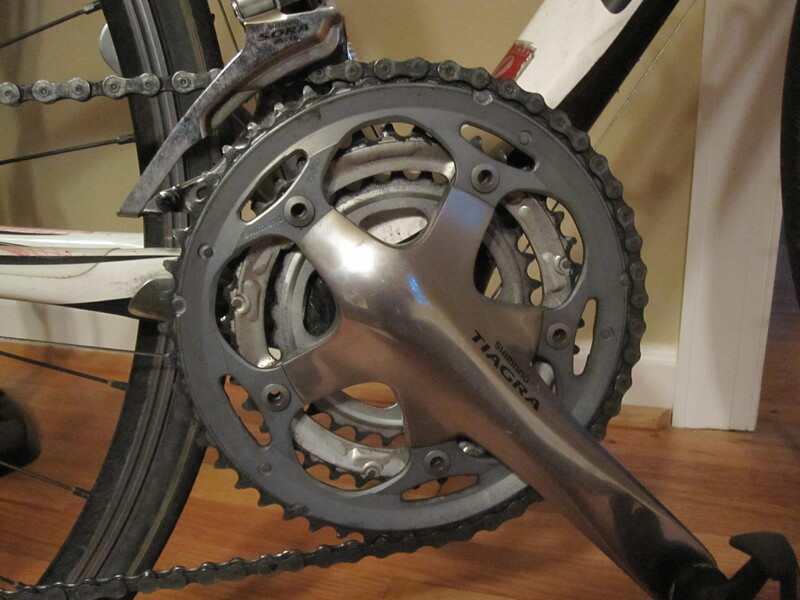 I have three gears on my front ring and my goal is to stay in the biggest, highest gear as long as possible. 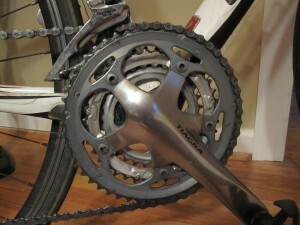 Instead of immediately shifting into much lower gears on both the front and the back rings, I have switched to shifting one gear at a time only on the back ring and only when necessary. I may shift down on the front only if the hill is crushing me instead of the other way around. As soon as I start to feel my power declining I shift again. It goes back to when Coach Ashley said “shift…shift…shift.” It is a slow and steady progression of getting into a gear that allows for maintaining cadence. By keeping a low but powerful cadence when ascending a hill, the plateau seems to be that much more rewarding. And I’ve found that it’s just as important to immediately switch back into higher gears on the downhill so as not to lose the cadence. There is much more to learn and understand about hill climbing and of course it takes practice but my new focus of every ride is in trying to maintain a powerful cadence even on the hills. This entry was posted in Triathlon and tagged cadence, cycling, hills, Riding, Training on May 15, 2011 by Natalie. This is rubbish! Cadence is simply number of revolutions per minute. It has nothing to do with how much force you use. Now, to maintain a particular cadence in different conditions, you may have to apply more force. The most efficient cadence for the majority of cyclists is between 80 and 95 rpm, regardless of whether you are on the flat or climbing. Maintaining your most efficient cadence as the terrain goes up is hard and requires much practice. It may feel better to climb at a lower cadence but it is always better to use your gears to maintain a higher cadence.